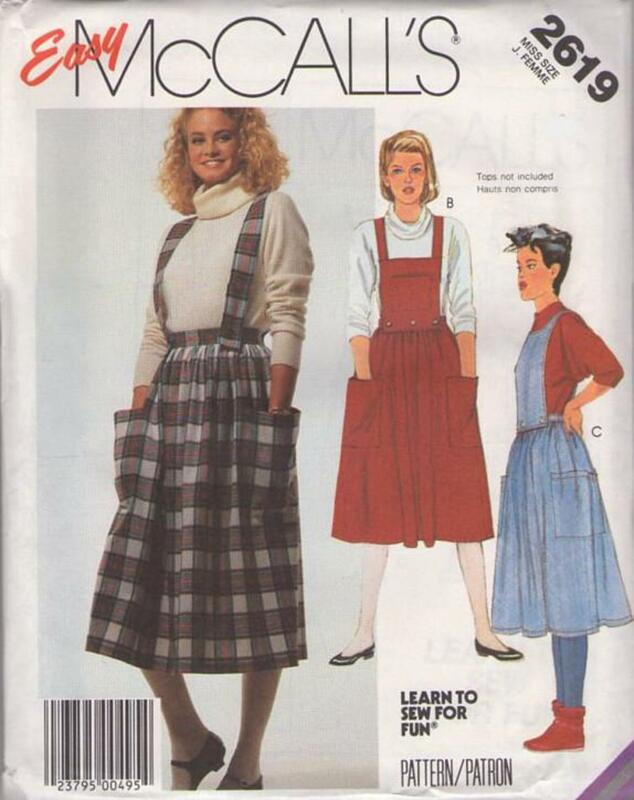 Bust 30.5", Waist 23", Hips 32.5"
1986, 80s New Wave Era, Retro Fun Clothing Patterns - SKIRT, STRAPS AND BIBS: Dirndl skirt A, B or C is gathered to buttoned waistband, has back zipper opening and large patch pockets; waistband has front and back buttons for detachable straps or bibs with buttonholes. View A skirt has straps. 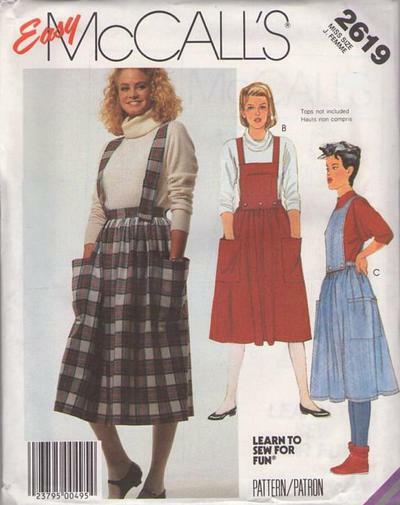 View B has self-lined bib with patch pocket and shoulder straps. View C has lined front and back bib.